TOP > Nissan Reports > Are you the next INFINITI Engineering Academy winner? HONG KONG – INFINITI has announced the launch of the 2019 edition of the renowned INFINITI Engineering Academy, its global search for the top engineering recruits in the world. The 2019 edition marks the sixth consecutive year of the Academy, which will give seven global engineering students the opportunity to work with INFINITI and Renault F1® Team on a unique 12-month paid placement. 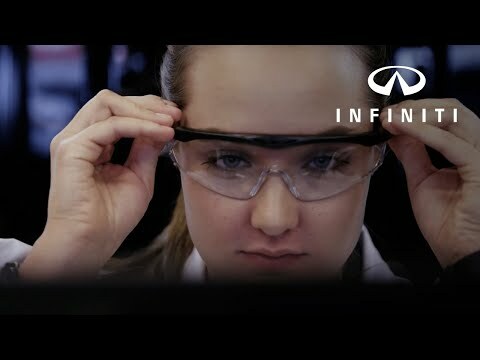 Since 2014, the INFINITI Engineering Academy has provided a unique leaping stone for highly motivated engineering students to enter the automotive and motorsport world. Since then, 50 percent of all winners accelerated their careers by securing full-time roles at either INFINITI or in F1® following their placement. With some former winners still finishing their studies, this percentage is set to increase in 2019, as the selection process for new engineers gets underway. This success is possible thanks to the Alliance, which facilitates a close collaboration between INFINITI and Renault F1® Team. For the 2019 edition, seven global regions will participate – Asia & Oceania, Canada, China, Europe (including Russia), Mexico, the Middle East and the U.S. – each offering one of the seven placements available.